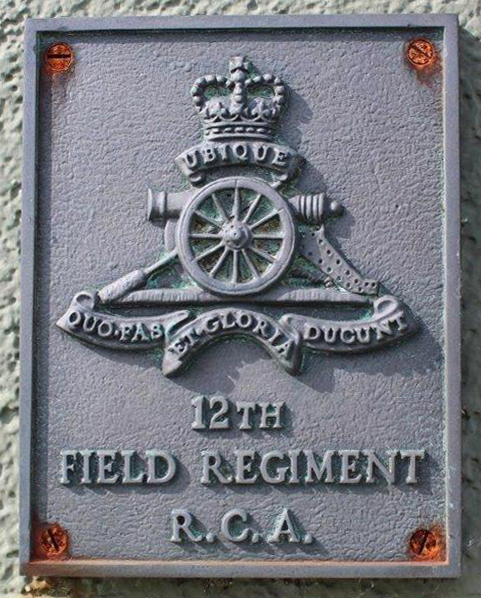 Finally, a website and information recognizing the brave men of the 12th Field Regiment! Thanks so much for honoring these men. I have done extensive research on the regiment and my grandfather’s role as they made their way through N.W.France. 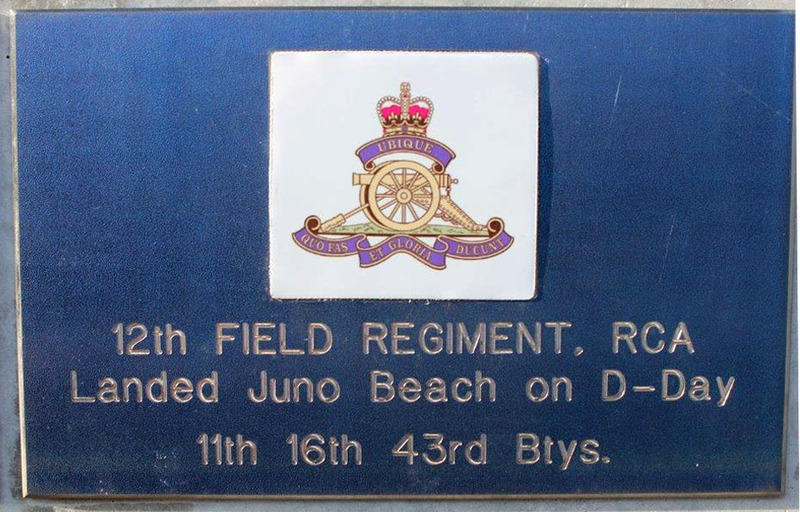 I have been to Juno 3 times and laid a wreath on behalf of the 12th Field in June of 2014 at the ceremony at the Juno Beach Center. 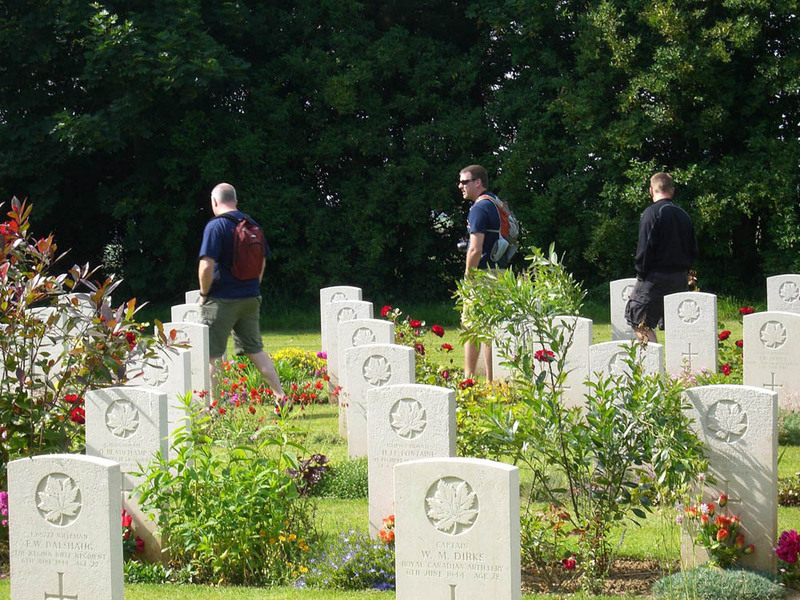 I personally visited every single grave of fallen members of the 12th at Beny-sur-Mer cemetery and planted a Canadian flag at each tombstone. 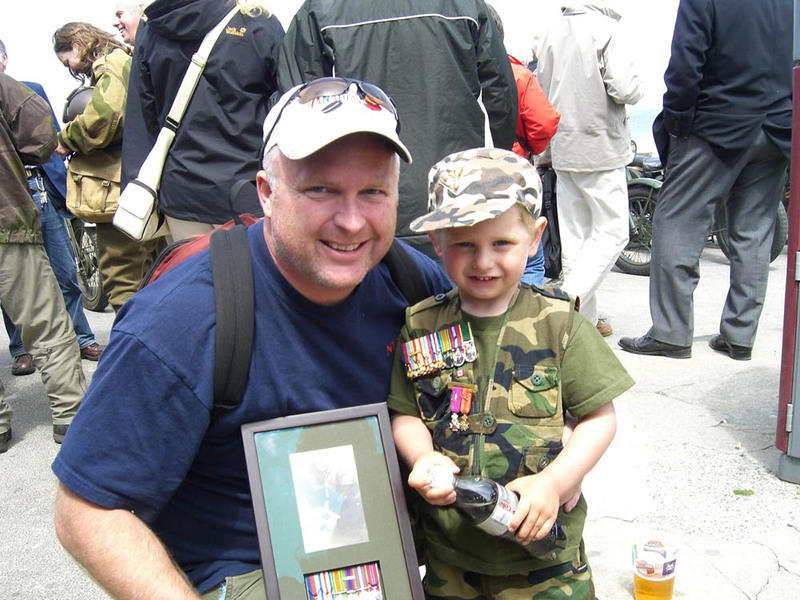 I am including photos I have of my grandfather, Sergeant George Hurst, along with the photo of my grandfathers’ medals. He is a D-Day veteran having gone ashore at around 0700 on the first wave of the attack at Juno Beach. 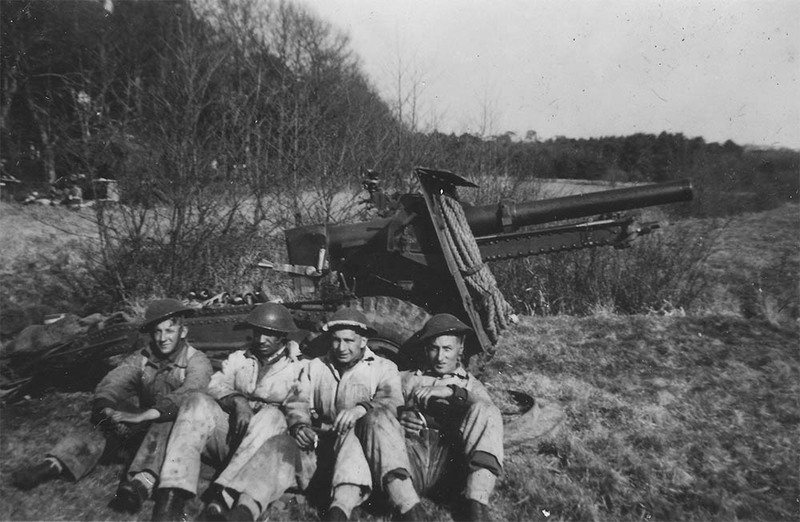 He served with the 16/43 battery, 12th Field Regiment Royal Canadian Artillery, 3rd Canadian Division. He survived the entire war and fought many battles throughout France and Northwest Europe. 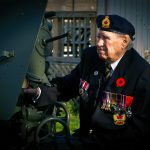 He was discharged from the army in 1945 upon his return to Canada. He was awarded the 1939-45 Star, the France Germany Star, the volunteer medal and two other medals. 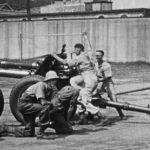 I couldn’t believe it when I scrolled through your photos and confident he is in one of the group shots of 4 men sitting in front of their 25 pounder. my grandfather second from the right, he was recognizable within a second of seeing him! George is the son of John Day Hurst, WW1 vet from Guelph Ontario, and father to my father George Robert Hurst, the 1st Battalion Queens Own and 3PPCLI. Great job on the website thankful and impressed! 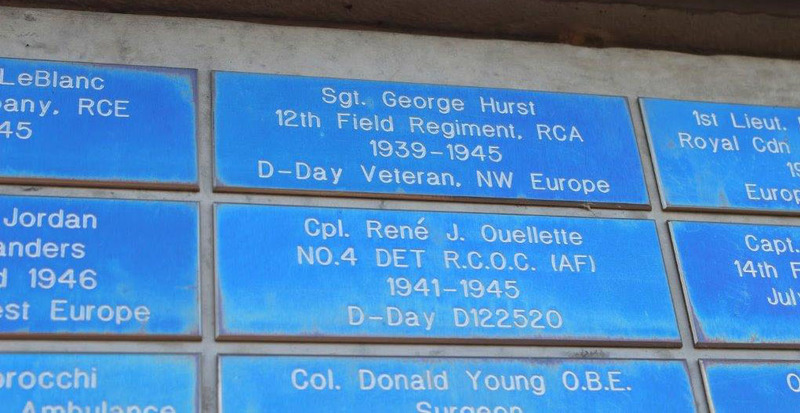 3 generations of HURSTS in the military, and one in the Fire Service starting with John Day HURST, followed by his son George HURST, and my father George Robert HURST. Here is a history on all three, all lived in Guelph Ontario. • Private John Day HURST served in WW1 enlisting in London Ontario in 1914. 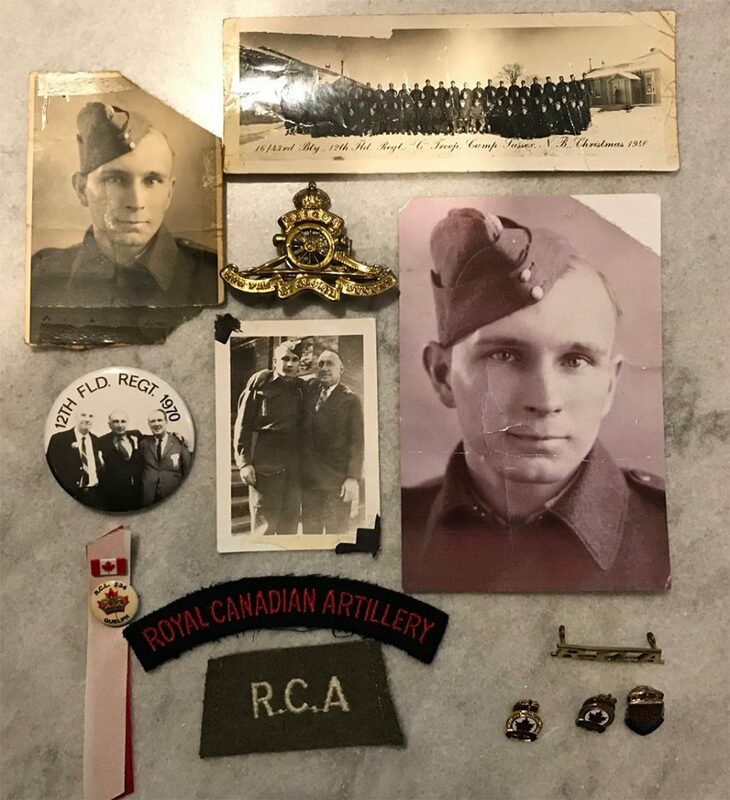 He was in the 34th Battalion on enlistment in London Ontario transferred to 1st Battalion, Canadian Expeditionary Force 1st Canadian Infantry as part of the 20 CEF Battalion. All part of the Ontario Regiment. He fought battles France and Belgium. 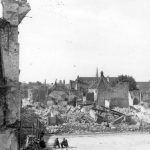 Saw action on the Western Front from August 1915 to March 16, 1916. Wounded during the battle of Verdun in Wulvergem, Belgium March 16, 1916. Wounds multiple which included; head wound, gunshot wound and shrapnel wound to right and left legs as well as right foot after a German attack on their trench. He was evacuated to the 1st Field Hospital in Boulogne France and subsequently England. He was sent home after 3 years and discharged in 1919. He died in 1963 ironically killed by a drunk driver on his way home from a fishing trip. He was awarded the 1914-19 Star, the Volunteer medal. The Victory medal and the Kings coronation Medal. • Sergeant George HURST served in WW2 enlisting in London Ontario in 1940. He is a D-Day veteran having gone ashore at around 0700 on the first wave of the attack at Juno Beach. 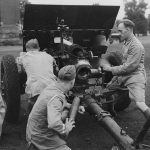 He served with the 16/43 battery, 12th Field Regiment Royal Canadian Artillery, 3rd Canadian Division. 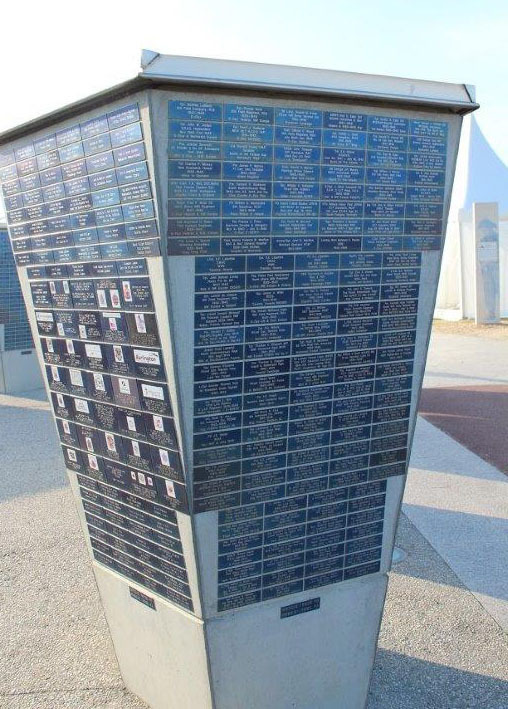 He survived the entire war and fought many battles throughout France and Northwest Europe. 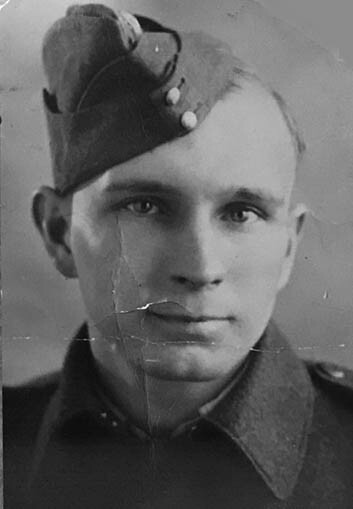 He was discharged from the army in 1945 upon his return to Canada. 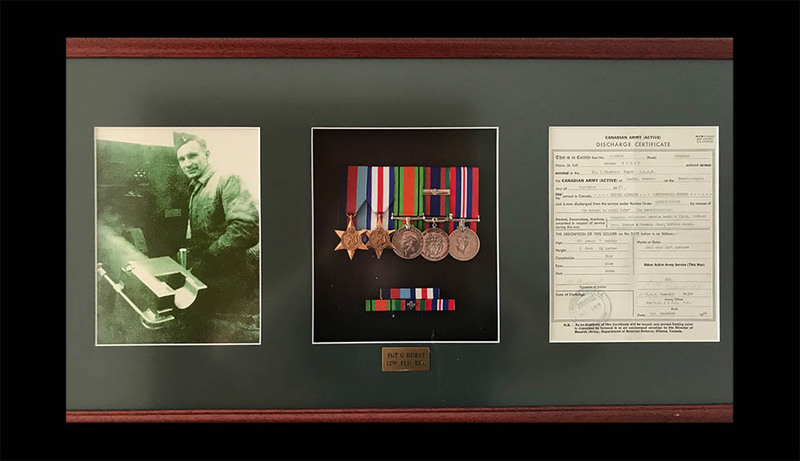 He was awarded the 1939-45 Star, the France Germany Star, the volunteer medal and two other medals. 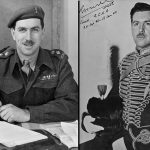 • Master Warrant Officer George Robert HURST. 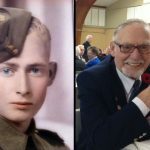 Served from 1963 to 1984 enlisting in London Ontario. 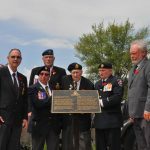 He served with the Queens Own Rifles of Canada, and 3rd Battalion Princess Patricia’s Canadian Light Infantry. 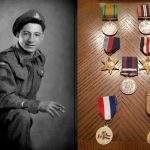 He served in post-war Germany, Vietnam and completed 4 tours in Cyprus as part of the UN Peacekeeping missions. He was an infantry soldier. 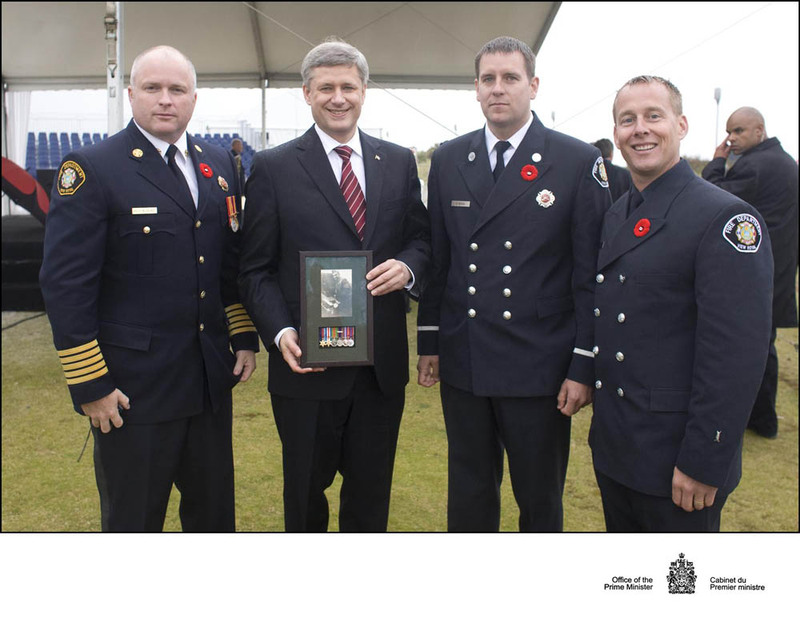 He received the NATO medal, Peacekeeping medal, 4 Cyprus medals, Vietnam Observation Medal, Queens Silver Jubilee medal, Canadian Decoration medal and the Fire Services Exemplary Service medal. I read your synopsis with interest because I’m trying to find out more about a John Philip de Flandre Day who was adopted at a very young age by Samuel Hurst. I believe he came to Canada in 1911, from England and using the name John Day Hurst. Does this ring any bells with you? Thank you for your message, Mrs. Bromley. I am sure Mr. Paul Hurst will be in contact with you. Special thanks to Moira and the team at 12th Field. 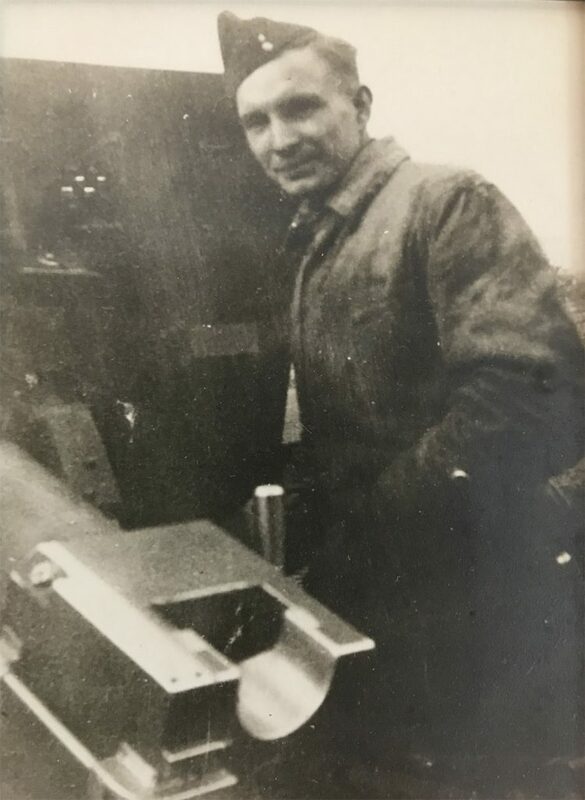 I connected with E W Bromley and was sent family history dating back to the early 1800’s. I was finally able to connect dots that have been missing. Just found your website while researching my husband’s grandfather. George Llewellyn Thomas. 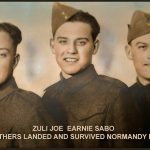 He was also with the 12th field Regiment according to the Juno Beach memorial and his military record says he was at Sussex in December of 1940 so he might be in the photo of the group you have posted. 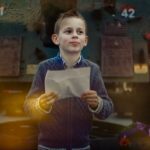 Thank you for all the information you have posted here. Thank you, Carol, for your message. 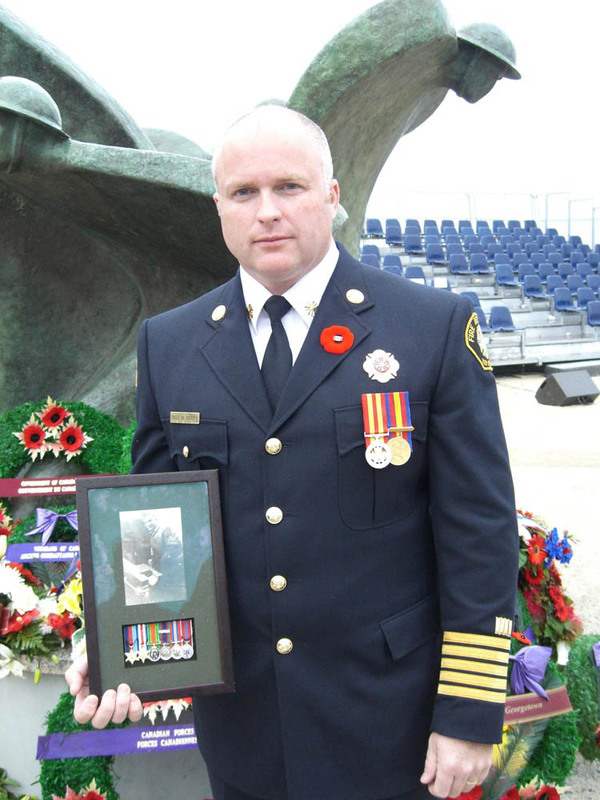 Our records show, Gunner Thomas, G.is listed from New Hamburg, Ontario?